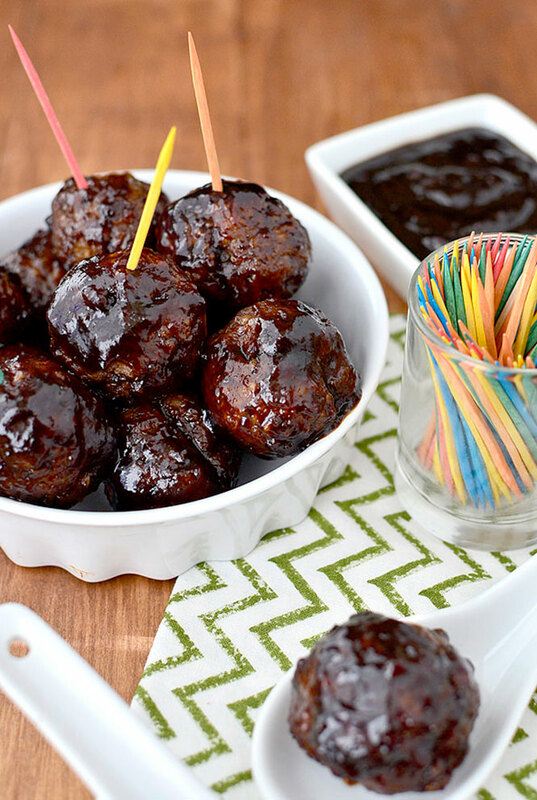 15 Easy Meatball Recipes perfect for Football Season! 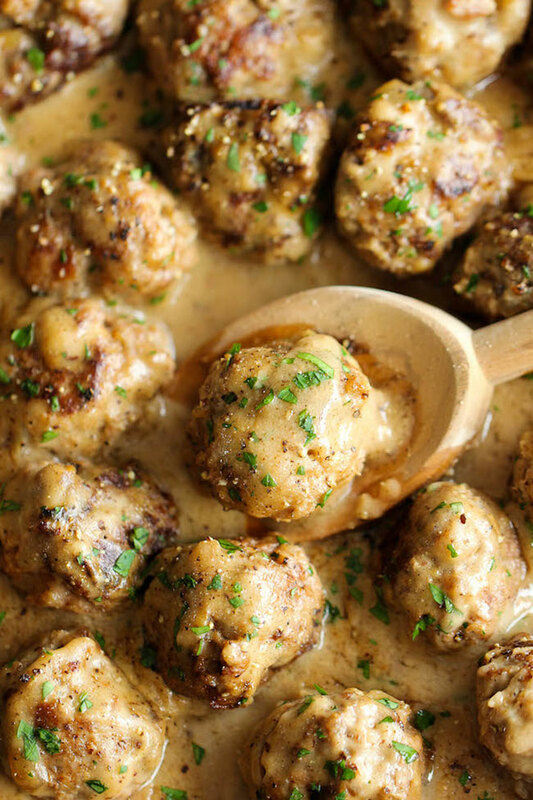 I’ve included my favorite beef, chicken, turkey and pork meatballs! They make awesome appetizers or main dishes! 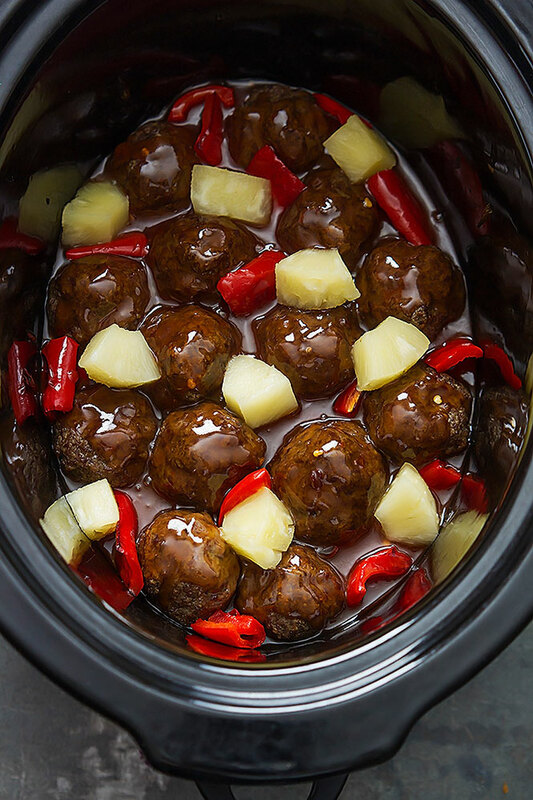 Remember these Slow Cooker Asian Sesame Meatballs I made last week. 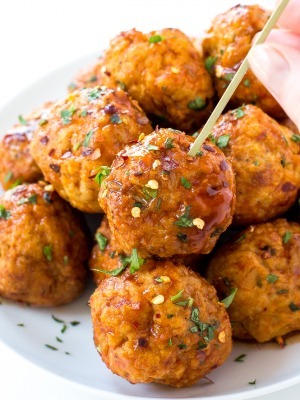 Well I wanted to keep the meatball fun going and share with you 15 Super Easy Meatball Recipes. It’s no secret I love meatballs. They are not as hard to make as one would imagine and they can be made in so many ways and with so many variations. They make perfect appetizers or main dishes! 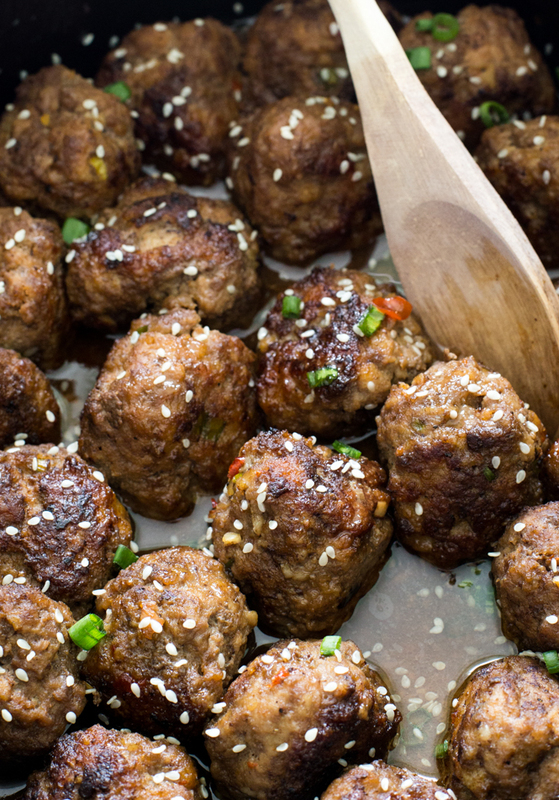 Check out my favorite meatball recipes below! 1. 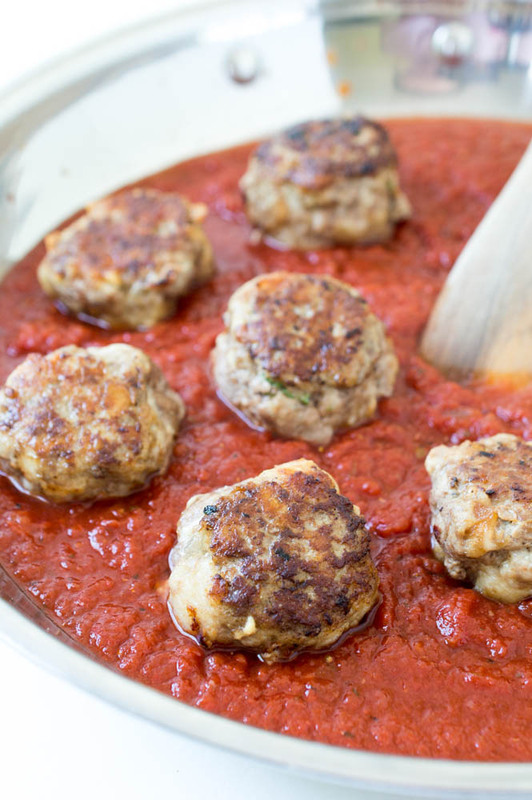 Super Tender Italian Meatballs: Super Tender Italian Meatballs. Loaded with Parmesan cheese, fresh parsley and garlic. They melt in your mouth and are incredibly tender. Takes less than 30 minutes to make! 2. 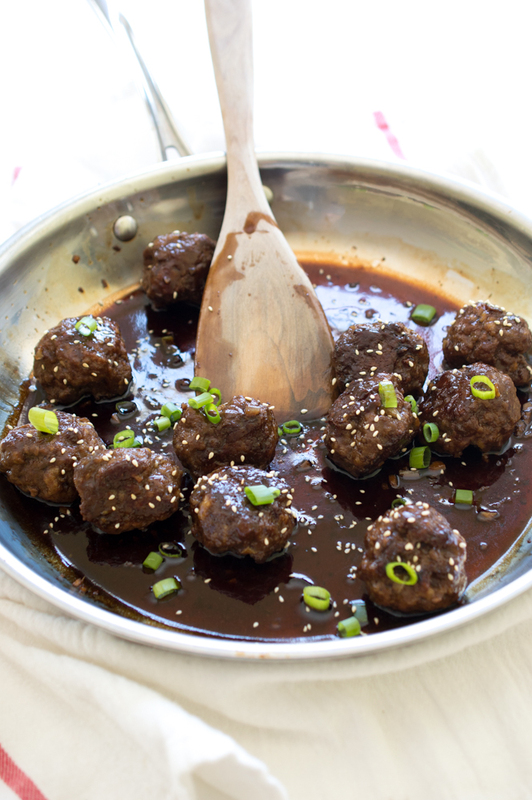 Teriyaki Beef Meatballs: Super Easy Teriyaki Beef Meatballs. Serve as an appetizer or add rice to make it a meal. Ready in less than 30 minutes! 5. 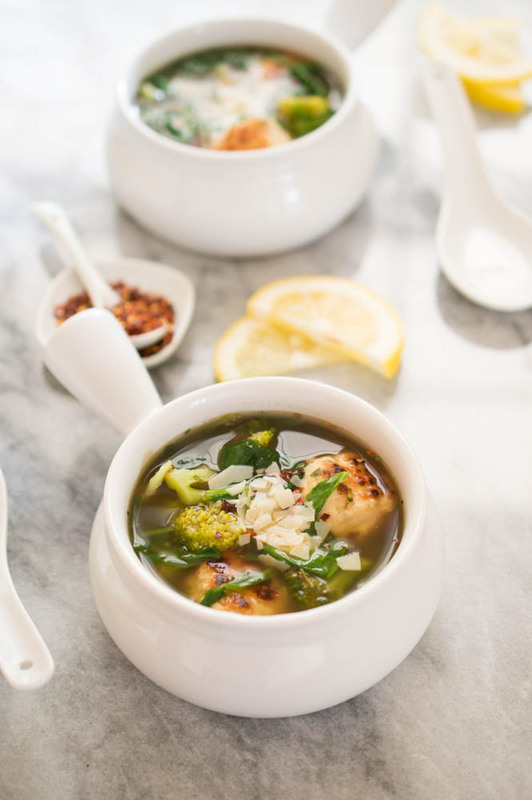 Turkey Meatball Vegetable Soup: Quick and easy one pot Turkey Meatball Vegetable Soup. 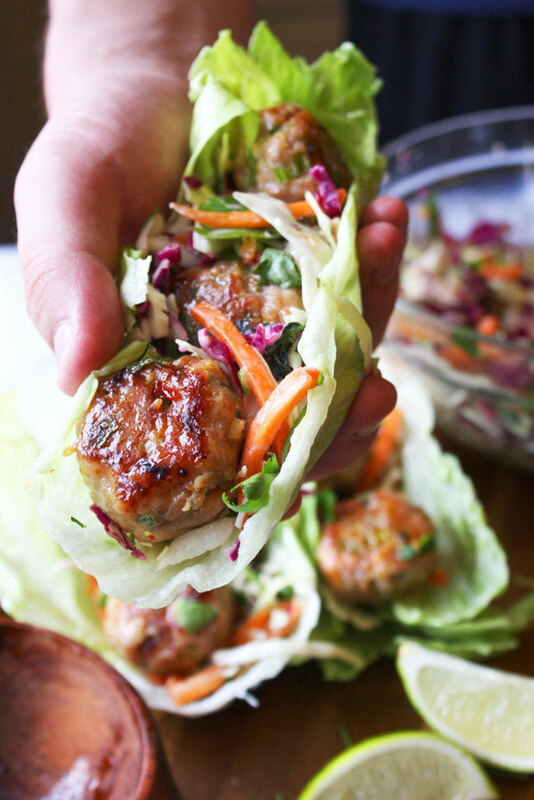 Loaded with arugula, spinach, broccoli and turkey meatballs. 7. 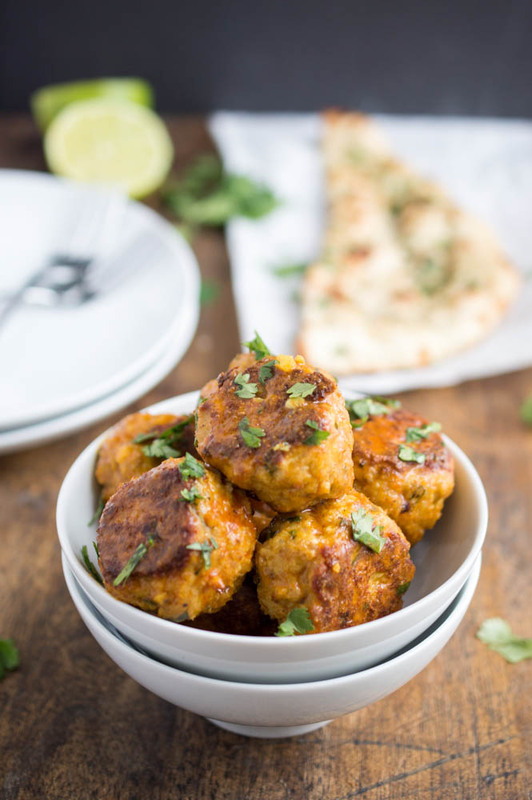 Thai Red Curry Meatballs: Thai Red Curry Chicken Meatballs. A quick weeknight dinner that takes less than 30 minutes to make. 9. 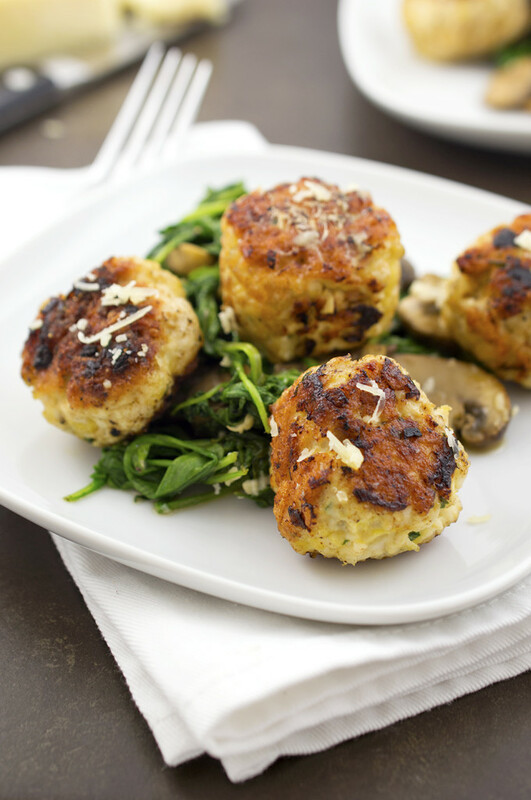 Turkey Meatballs with Arugula and Mushrooms: Super easy pan fried turkey meatballs. A healthy dinner that can be made in 30 minutes or less! 11. 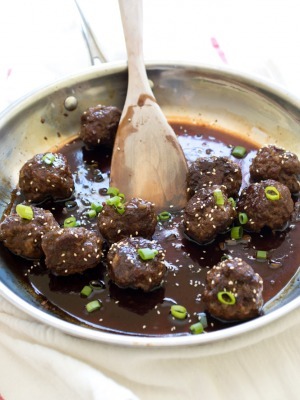 Slow Cooker Asian Sesame Meatballs: Super Tender Slow Cooker Asian Sesame Meatballs. Serve as an appetizer or add rice to make it a meal! Perfect appetizer for tailgating! 13. 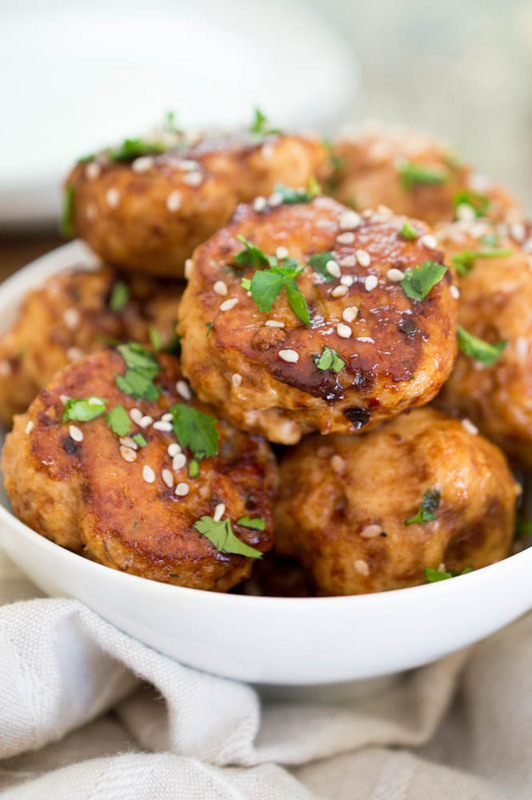 Asian Style Chicken Meatballs. Baked and tossed in a sweet and spicy Asian sauce. Serve as an appetizer or add rice to make it a meal. Ohh yay this is awesome! So many game day foods are dips and such; it’s nice to have bite-size pieces of meat on a spread too. Love this round up! 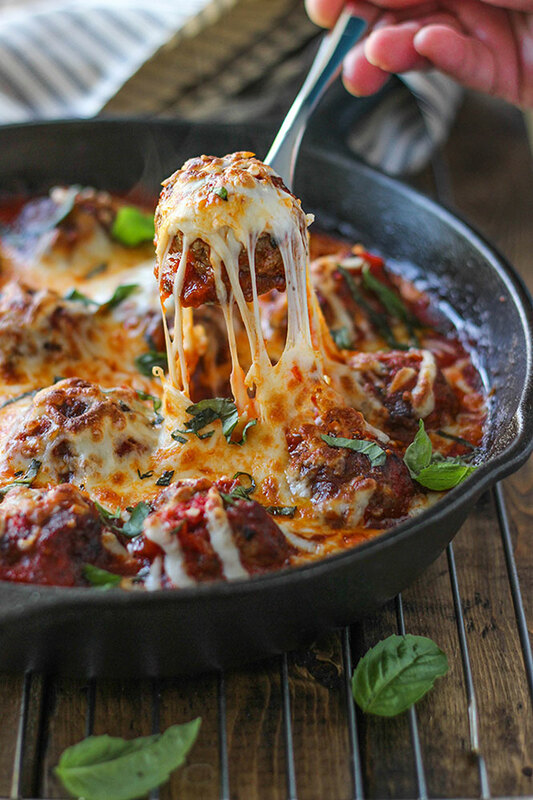 SO many delicious meatball recipes. I think roasted red pepper meatballs are my favourite ever. Oh now I’m totally craving meatballs! 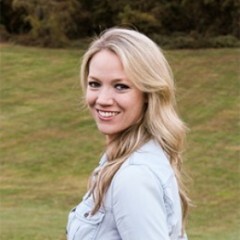 I love all of these recipes, Kelley! Sounds like the perfect comfort food! 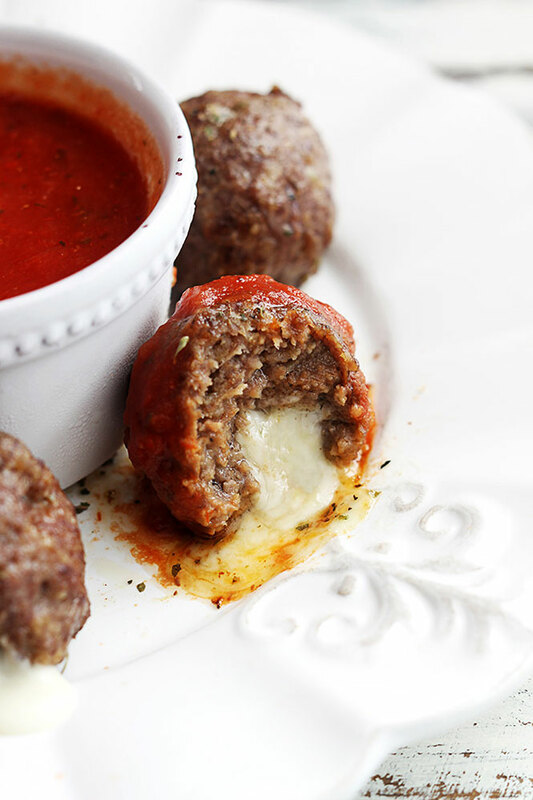 I love any excuse to make meatballs and these would be perfect for game day! I can’t wait to try these recipes! Awesome roundup! Love it! Now I need to make some meatballs! 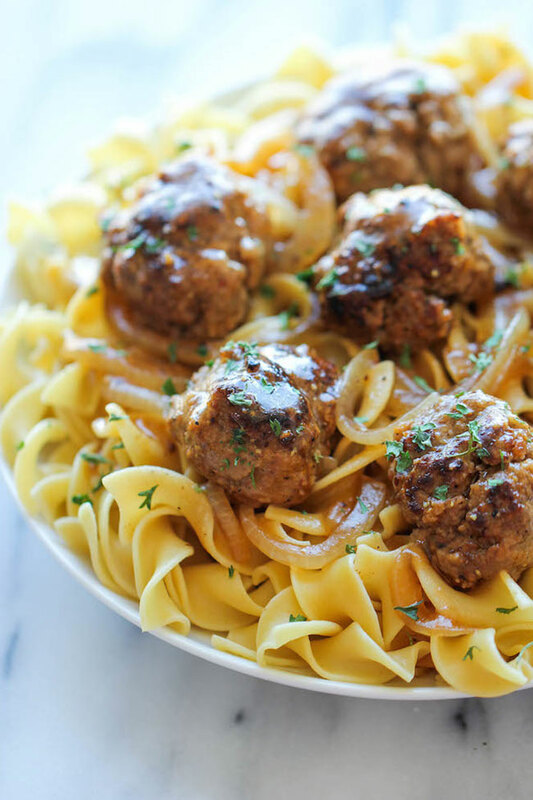 Meatballs rock my world. I like all sizes and flavors… Give ’em too me ALLLLLL day long. Your round up is killer! I will take a few dozen of them all! Problem is, where does a girl with an insatiable meatball appetite start?!? Pinned! Cheers, girlfriend! Oh my goodness! 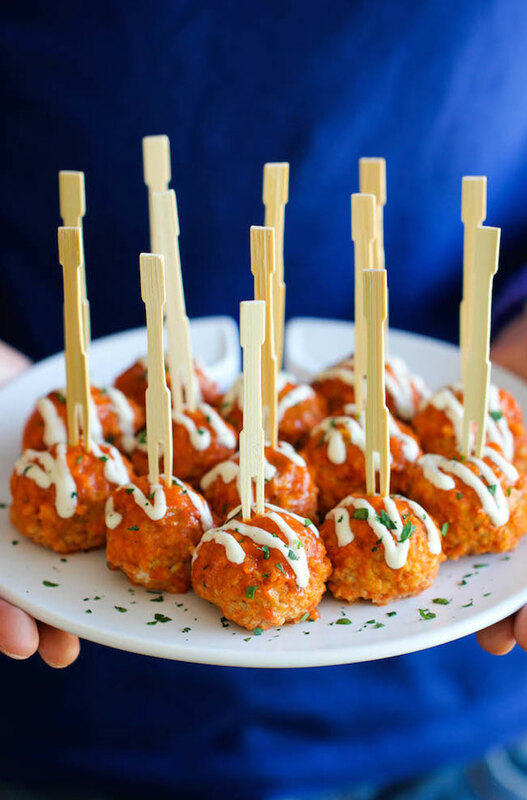 This is such an awesome meatball round-up! They all look amazing, Kelley! So easy and perfect for game day! These all look fantastic! Thanks for including my Thai Meatballs ?! !